There is no standard format for a bad day or bad days doesn’t come in any fixed pattern or day, bad days come in all shapes and sizes: You were shooting and suddenly by somebody else’s mistake you got your flash light broken amidst couple shoot. You have to leave for your important wedding shoot and suddenly got a call from a friend that he met with an accident, or your client was about to pay the token money for the booking and suddenly your competitor got the deal cracked in less money. Your shoot was at 10 AM and due to a minister visiting the city there was a heavy traffic and you managed to reach at noon. Reason could be any and many for calling a day a bad one. Life has its own way of presenting itself to you and it is nearly impossible to understand it, it has an uncanny knack for throwing you off-track once in a while or may be every alternate week if you happen to be a professional photographer. Thus, what at the most you can do in such situation is accept them as they are, understand all these situations are beyond your control, you cannot do anything to it now. Only when you learn to accept the situation and not get hitched by those situations you would be able to have peace of mind, which is much, much more important than anything else. Most often when things don’t go our way we start to dwell in all the negatives and then loose our mind in the process, which is more dangerous and unhelpful in any situation. The understanding that whatever has happened, has happened now nothing can be done to it, can help you move past the problem. And that is a true photographer, who knows that bad days are just part and parcel of life of a professional photographer and will continue to happen as long as you are a professional photographer. It’s okay! 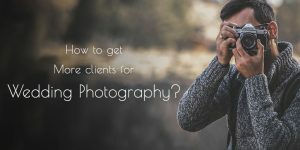 You are going through a tough time, extremely distressful and you know the ongoing shoot can’t be postponed and even telling your client won’t help it. On top of it you are a reserve person personally, may be you never want to share your troubles with people around. Or maybe you are the one who when hitched would want to get cocooned, get away from one and all to find out your solutions. How would you go along with this situation? Because not every time this therapy helps. It may have helped you many a times in past but not necessarily this time too. Come on, just put the shoot on hold for sometimes, speak up, and speak up to your assistant. Trust him and try to explain him your situation. There is no harm in seeking help and if you don’t have assistant take your friend along with you as your assistant. Sharing is caring and sharing your situation with someone you trust will not only help you release your emotions but also provide you the support at the time of distress. To seek help is no problem, even photographers are humans and they also have to go through tough sometimes, it’s natural absolutely. You can’t be your best talkative, smiling and witty photographer, sometimes it’s just not your time. Share it with the one you trust, support provides you strength and to get help is good. As it is now clear that situations/things doesn’t come informed well in advance, at times you may not be able to make it, like one of my photographer friend had a shooting the very next day and the client was very important and a big shot but suddenly while he was preparing for his next day shoot he got a call from his family about the sudden demise of his grandfather. Now what, what did he do? But, that’s life, sometimes abruptly brutal. In such a situation only your network can help you come out of it. Always have a backup network of photographer buddies, it can go a long way in covering you in times of dire need and you in times of their need. IV. 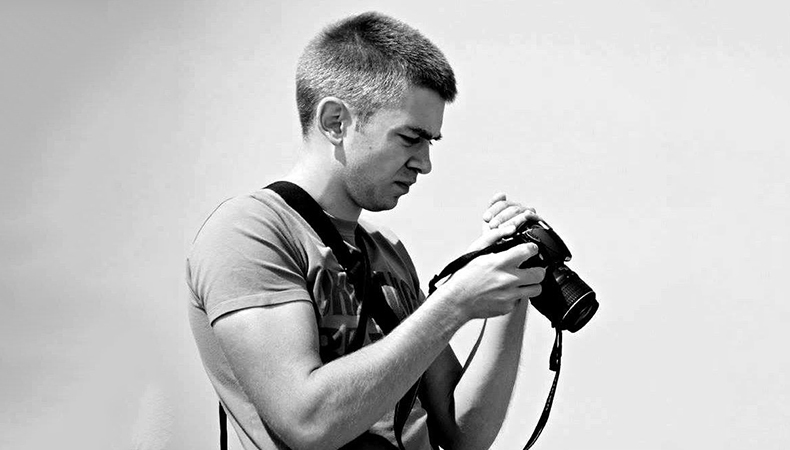 YOUR GOOD PHOTOGRAPHY HABITS CAN HELP YOU HAVE LESS BAD DAYS COMPARATIVELY. 1. Creating a shot list will be hugely helpful. One of the most important tips to have good photography habits is creating your shot list. For this, you can always involve the couple to think ahead about the shots that they’d like you to capture on the day. This is one of the systems many professional photographers have used to have great effect is planning their shots beforehand. This is particularly helpful in the family and wedding shots. Otherwise it would be very embarrassing finally to realize that you forgot to capture the couple with the grandparents. Ensure that you visit the locations of all the places that you’ll be shooting before the big day. It will be really helpful to have great shots on the big day. You can always create a mental or physical order of shots, a few positions for shots and understand the sequence of light and how all and from where it is coming. Before your shoot, scout your location, try out some test shots of exact compositions and frames with your phone, and track the weather and the light, and planning anything else that might help you function well and without hindrances. Sometimes your bad days just occur because you forgot to take down the details of the coordinator the one who will coordinate with you on the big day for all the family photographs. And you know how important all the family members are when it is some wedding. Skipping any can give you a real bad time. However, the family photo part of the day can be quite stressful. SO many people going here and there, everywhere, you’re unaware of the different family dynamics and people are in a ‘festive spirit’, everything seems topsy-turvy, you are not able to figure out anything, as everything is chaotic. Ensure that you get the couple to nominate a family member who can help get the family members the shot and keep things moving in the party. You never know what can go wrong on the day – so it’s better to be well prepared. Have a good backup plan beforehand, keep two –three batteries (as this is going to be a long shoot) have your batteries charged, memory cards blank (keep tow – three memory cards, have an itinerary prepared for the day along with the routes and time to get to the place. Your advance preparation and approach can help you survive any bad day. Before grabbing the booking ensure that you show your client your style of photography. Ask them what they are seeking in the photographer, how many shots they want, know what they are wanting to achieve, what are the things they want to be recorded, how the captured shots will be used (print etc). Most importantly, have the agreement of price and other details in place up front. As a photographer it is your task to shoot even the minute details of the day like: Bridal dresses, backs of dresses, shoes and sandals of the couple, rings of the two, flowers, table settings, vase menus etc. – these small details will help you give the final album an extra dimension. 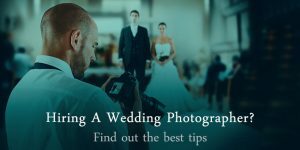 Read out what professional photographers tell about it in their blogs or flick through a wedding magazine for an inspiration. Having your assistant can be a great help, once friend of mine was shooting a wedding and suddenly his migraine got triggered which he was not aware of initially but later it became unbearable for him to shoot any further. Luckily, he had his assistant he immediately took over and all went well by the end of the day. This is just one case where in something bad start to occur but the situation could be managed. So, having a backup photographer is a great strategy. Otherwise also, he can help you in holding flash lights, your bag. And also can take care of all the accessories which are costly for sure. He can help in taking other shots when you are busy shooting the couple. As you know changing lenses sometimes seems a toughest task, and due to mishandling or in hurry of clicking a shot, you can loose on your lens too. It is good to have an extra cameras handy and set it up with a different lens (200 mm and 70-200 mm). Shoot with one wide angle lens when shooting candid shots and in tight spaces and one longer lens. Since in a wedding you will get too many obstacles in between you and your perfect shot but you can just be timid. You need to be bold to capture a moment. Most often this happens when you are trying to capture a candid shot without letting the person know. For a good candid shot timing and thinking ahead are important. Even while shooting the formal shots be bold, and ask for what you want from the couple and their party. Right now it’s you who will keep things moving. As you know that light in the plays an important role, your light can either make a photo or break a photo, I am sure you know it. Your knowledge and ability about when to bounce a flash or to diffuse it is indispensable. Sometimes your wedding halls are good at light and sometimes a wedding is taking place somewhere light is notoriously low. Then either this low light can turn to be bad day for you or you can make it the best by buying a flash diffuser well in advance to soften the light, if you can’t use flash there. If you can’t use a flash either use a fast lens at wide apertures or bump up the ISO. Also, a lens with image stabilization might also help. Capturing RAW gives you upper hand to make or edit them as you wish them to be. Being a professional photographer you can’t hang on your mistakes or something which went wrong. Shooting in raw will give you time to produce the best of the pictures later and give your client the best of the best work of yours which they will cherish forever. 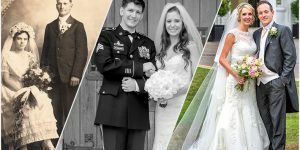 Wedding is once in a lifetime event and you won’t be able to alter if you don’t capture raw just to save on time. Always remember that this is not your last client. Shooting in raw gives you so much more flexibility to manipulate shots after taking them. It’s a wedding and to be in continuous shooting mood can help you get lot of images fast and you can easily get the best ones from many of them in the process. Also, this way you would be able to capture most of the moments, emotions and reactions of people in the wedding like the first time bridal’s father saw her princess in bridal attire and a tear dropped down his eyes just then, or when the groom just saw his bride and got dumbstruck to see her in real in front of her after so many efforts for so many years to get her in life. There is so much you can get like this. Keep shooting!! The problem with digital photography is a photographer has the privilege to check shots as soon as they are clicked and then arise the temptation to delete them there and then. And the actual problem comes when you just loose some of your interesting and usable images. You should not forget that you have the power to edit, crop, process, manipulate images later, so why not to have patience and keep shooting only. This way you won’t be defocused and distracted and won’t hamper your work in eagerness. If you really don’t want to end up having very bad and chaotic day, good to scour your venue beforehand and have mental calculations where in you can find the best of the backgrounds to shoot couple freely without anybody’s intervention as in a wedding people keep on moving and later you can’t give an excuse that you did not get enough space to click the best shots. You are professional photographer, be prepared well in advance, it’s just not any ordinary shoot it’s a wedding and people are emotional about their wedding and the wedding photographs always. It’s about emotions, give them an extraordinary work, which they wills cherish whenever they flip their album. Get the background right for clicking the right moment. You might be a great photographer of your town, but there is not harm in having more creative images this time. It will just add to your portfolio and help you get more business. Get a little creative with your shots. While the majority of the images in the end album will probably be fairly ‘normal’ or formal poses – make sure you mix things up a little by taking shots from down low, up high, at wide angles etc. These moments can give you a shrill, a situation beyond your control… but worry not, your couple is already disturbed because of all this and it can reflect in the picture, you need to chill down first and don’t stop shooting. In fact keep shooting these moments too, this is not something permanent which can’t be amend, capture them which the couple will recall later and smile on the event long after, and you could end up with some fun images that sum up the day really well. 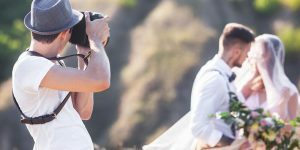 See even if something had went wrong amidst the shoot, you don’t need to panic about that, learn to handle such panicky situations at work as a professional wedding photographer. Celebrate with them in their thick and thin in the big day. It’s okay enjoy yourself, your behavior will also give your couple the strength to fight back the odds which have just occurred unexpectedly. Remember that, being stress free you can best of your work, even if the going seems tough, keep moving and inculcate good photography habits which will help you until you retire. Sometimes, no matter how hard you tried but still all you planning and networking failed, and it was difficult to manage a truly bad day. You had to cancel the shoot due to some extremely undesirable reason. Now what! Sometime whatever you do everything fails and life looks like going just the opposite of what you have planned, but you can’t beat yourself up about something you can’t completely control. All you can do is be fair, communicate it to your client, explain them your situation. And take a deep breathe, sometimes you can’t help actually when everything gets worse.